With increasing liberalisation and greater freedom of speech being championed (reasons for this are examined in other areas such as Media and Culture), societies struggle on how much freedom is acceptable and when it crosses the line. While the benefits of having personal views heard are undeniable, especially in a democratic context, the question remains if the negative implications of such actions outweigh the benefits they bring. Censorship attempts to justify itself by providing stability in its attempts to remove content seen as harmful to public welfare. A) how is this action justified? Whose values do we go by? Yet, we also must be cognizant or mindful of human fallibility or herd mentality that renders us vulnerable to media influence as well as a need to exercise sensitivity towards certain issues. The assumption that the general public has the ability to discern right from wrong. It can be argued that the absence of the public to make rational choices justifies the use of censorship. In this case, we should use examples from our media package – discuss how the media culture promotes violence, sexualisation of women,and materialism amongst others. Cite statistics on how such media representations have been documented to have a strong influence on youths and adults. Depending on the context, censorship should or must be exercised especially where sensitive issues pertaining to religion, race or historical tensions are concerned. An atmosphere of free speech must be tempered according to the sensibilities of the society. It is pertinent that an authority vets and moderates content in order to minimise potential clashes before it is released. On that note, articles in Singapore newspapers are held back from publication when they are deemed to be offensive and derogatory to a certain race, pre-empting possible conflicts and anger from the affected communities. For example . . . (truncated). While everyone is entitled to their own views, it can be considered too idealistic to always expect all views to co-exist peacefully. What is acceptable to one person might be insulting derogatory to another. 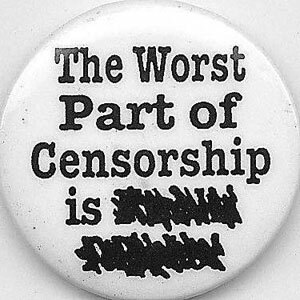 Censorship therefore is necessary to introduce some form of regulation in the hope of diverting potential conflicts. It can be argued that promoting individualism at the expense of societal stability is unacceptable and censorship functions to maintain this balance between the need for liberalism and the necessities for regulation. With reference to our political tuition notes, we can raise the connection between censorship and politics. Resources on censorship are easy to find. Students can easily build up their content foundation by tapping on online resources and they should do so. In this way, they can use tuition lessons more effectively and be more aware if the tutors truly know their craft.